Jet fuel price Tuesday was cut by a record 14.7 per cent on the back of decline in international rates, making it cheaper than both petrol and diesel. 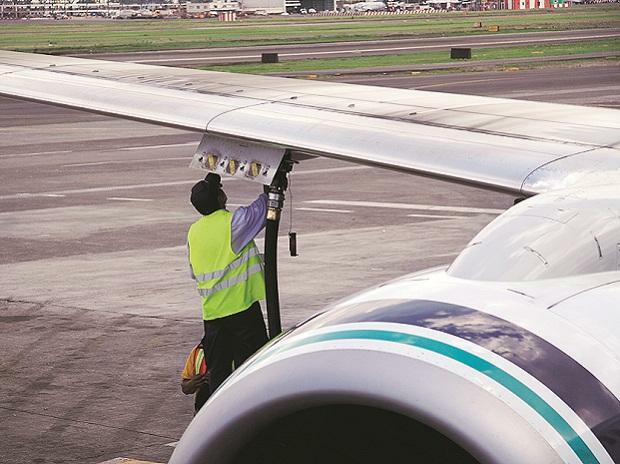 The price of Aviation Turbine Fuel (ATF) -- used to power airplanes -- was slashed by Rs 9,990 per kilolitre, or 14.7 per cent, to Rs 58,060.97 per kl, according to price notification issued by state-owned oil firms. The two consecutive price reduction has brought ATF rates to their lowest levels in a year and will provide much-needed relief to cash-strapped airlines. Continuing its downward march, petrol price Tuesday was cut by 19 paise a litre and diesel rates were reduced by 20 paise. State-owned fuel retailers revise rates of ATF on 1st of every month based on average international oil rate and rupee-US dollar exchange rate in the preceding month. Petrol and diesel prices are revised on a daily basis.